It's been mentioned before around here, but it's a rare and precious thing in 2016 to be able to go into a film and know absolutely nothing about it. And it's actually easier to achieve than you think. No film shows have been listened to or watched in the past few months due to life getting busier than a busy thing with a to-do list a mile long - and I haven't read a film mag since economic necessity forced the cancellation of Total Film. 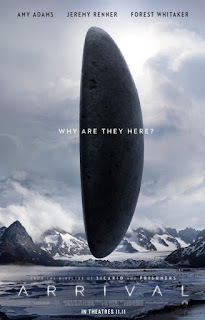 So finding a free evening - a surprise event in itself - and then ambling in to see Arrival on the back of nothing more than one bus poster and two friends raving about it was about as rare an event as it's possible to get. I knew it was sci-fi. I knew people were talking about it (well, at least two). After that, all bets were off. Actually, that's not quite true. I knew one other thing - it was almost certainly not going to be suitable for the two under-eights who were tagging along with their tardy parents. 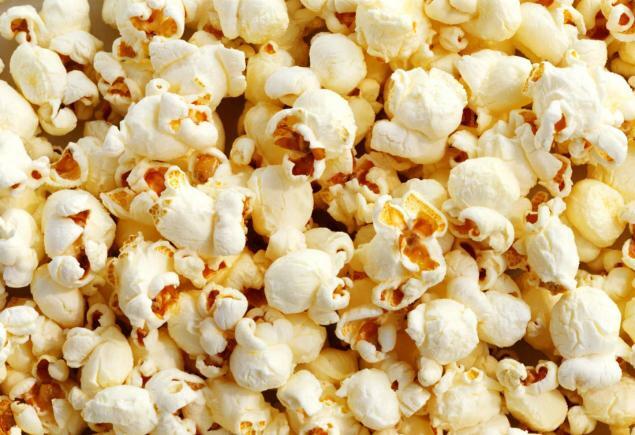 Granted this was based on nothing more than the previous evidence being mixed with years of cinema-going experience, but if this had anything in it that would appeal to them I'd eat the popcorn they managed to pour over the floor within five minutes of disturbing everyone with their late arrival. Once we'd moved back a few rows to spare ourselves the infantile giggling, life returned to normal. Or as normal as it could be watching Arrival. Because what's apparent within the first few minutes is that this is a film with a lot to say and a lot going on. It's not a light, frothy, sci-fi flick by any stretch - it's arguably more complex than Interstellar, but it's much better and makes more sense. And front and centre is Amy Adams. An actress who has seemingly been getter better and better with every passing film (she never played Lois Lane, you dreamt that), here delivers arguably the performance of her career. As Loiuse she has to carry the whole film. It's her story, in a way, and everything pivots around her - and Adams carries it off with panache and ease. From the death of her daughter in the opening minutes, you go on a quite remarkable journey - and Adams delivers a note perfect performance of understated strength and depth. I want to talk about what happens in this film, I really want to chat about the plot - but I'm quite deliberately not going to because I really don't want to give away anything. Yes, I know I've mentioned one thing but that happens right at the start so that's allowed. What I will say is this is a film that will really make you think. It looks at the linear nature of time. It muses on the importance of language. It throws a spotlight on how the media have an ill-informed impact on the world. It's a film that really has arrived at just the right time. Alongside Adams, we have marvellous performances from both Forest Whitaker and Jeremy Renner, while director Dennis Villeneuve (he of the brilliant Sicario and the underwhelming Prisoners) lets the story lead the way and never tries to steal the show. I'll be honest, watching Arrival also makes me feel a bit better about Blade Runner 2049 too. The beauty of this film is the way it is balanced. The story is well-paced. Slow, steady, but never dawdling. Some shots are framed beautifully while other scenes are given their full scope to allow them to breathe. And the tension and the drama - and there was at least one moment when my heart was literally pounding - are allowed to flow quite naturally. The whole thing is almost muted, much like the colours and tones, but that's not to say it's dull. What it is is intelligent, gripping, sharp, insightful - basically, everything a good sci-fi film should be. In fact, it's everything a good sci-fi film used to be, before Hollywood decided running and shouting and explosions were the order of the day. This film has far more in common with Alien and Silent Running than a Gravity or a Star Trek Beyond. Polished, sanitised fair this is not. And it's all the better for it. A day after watching it, ideas are still floating about, the mind is still mulling what it took in. There's a lot going on and a lot to think about. And Arrival gets better with every reflection. Which makes me wonder, again, who the hell thought two young kids would enjoy it. ...you know the poor thing had no idea what it was she had just watched. Maybe she can revisit in about 20 years time.